Simone Biles is set to return to international competition tomorrow at the 2018 World Championships. In practices in Doha, she’s looked unstoppable, hitting routine after routine. Biles is one of the rare gymnasts that garners applause during podium training sessions as she did here on vault. It seemed like nothing could stop her inevitable march to her fourth world all-around title. Not even a kidney stone. On Twitter, she makes it sound like she hasn’t passed the stone yet, and won’t until after she’s done competing. 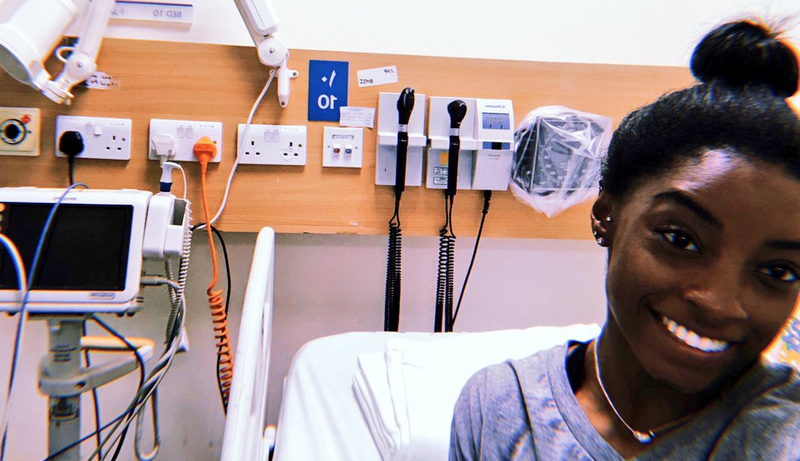 Biles, kidney stone notwithstanding, is set to perform tomorrow with the rest of the U.S. team during the qualification competition at the world championships.